1. With the fun of having a legitimate baby bump comes a whole new center of gravity. 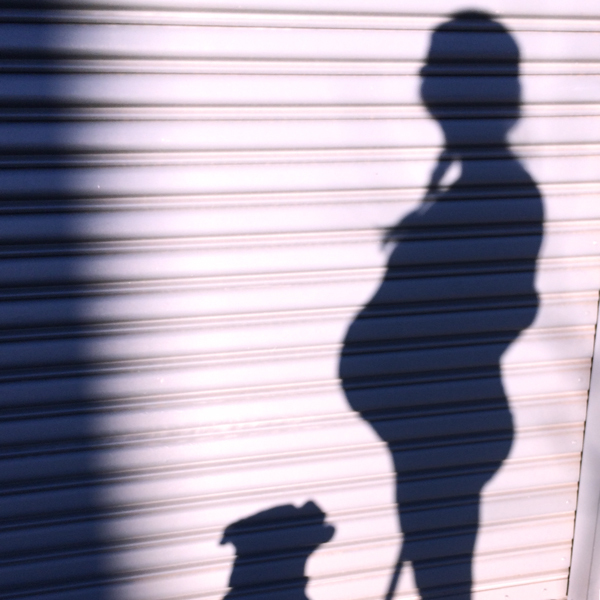 I completely wiped out at work and felt pretty embarrassed—a firetruck and an ambulance came to my rescue—until many other women told me that they stumbled while pregnant, too. Moral of the story: Be careful, but don’t feel bad if you suddenly have two left feet, especially when you can’t see them anymore. 2. The nesting instinct is real. For me, it really kicked in during this last month. After finishing the nursery, I thought, why stop there? I currently have an overwhelming urge to make over the entire house. When you’re nine months pregnant, it’s clearly the perfect time to assemble furniture and lift heavy objects, right? But seriously, I hear it’s nature’s way of making sure that we’re ready to bring home a baby—and that home is somewhere we like to be, since we’ll be leaving it a lot less often. 3. Those thrilling little kicks from the second trimester are nothing compared to the action that goes down in the third. I swear our little guy is playing a game of Twister. Right foot, upper stomach! Left hand, belly button! You can spot his twists, turns and wiggly little feet from across a room. It’s crazier than I’d ever imagined. 4. I can’t stop laughing. Apparently it has something to do with the hormones—apologies to my husband who was starting to think he could have a second career as a comedian. I even got a major case of the giggles during our class on childbirth, which is a pretty serious subject. Thankfully, the instructor said if I can keep up my laughter during labor, it would be even better than the Lamaze breathing that made me lose it. 5. I think I’m really going to miss being pregnant. It just feels special. Sure, there are days when I’m tired of wearing leggings or when I literally lost my balance (see number one), but overall, pregnancy has been pretty awesome. I’m proud of the way my body has transformed, and I love getting to bring this bump with me everywhere I go. It’s like saying, hey world, I’m making a human. 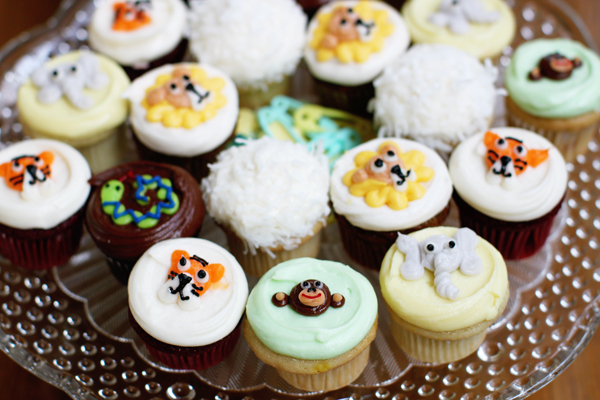 The sweet cupcakes at my jungle-themed baby shower. 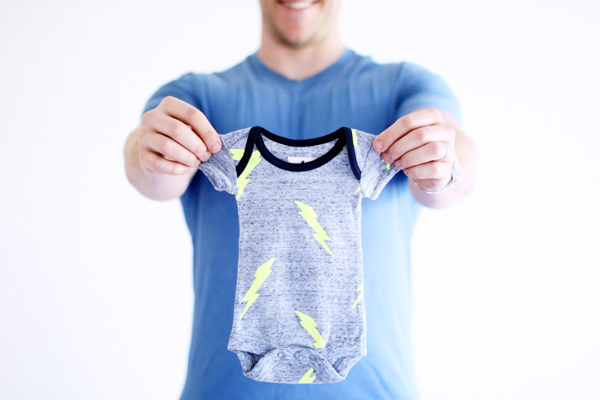 I can’t stop buying tiny clothes! I love these lightning bolts from J. Crew. I’m so happy that we took maternity photos to capture this special time. 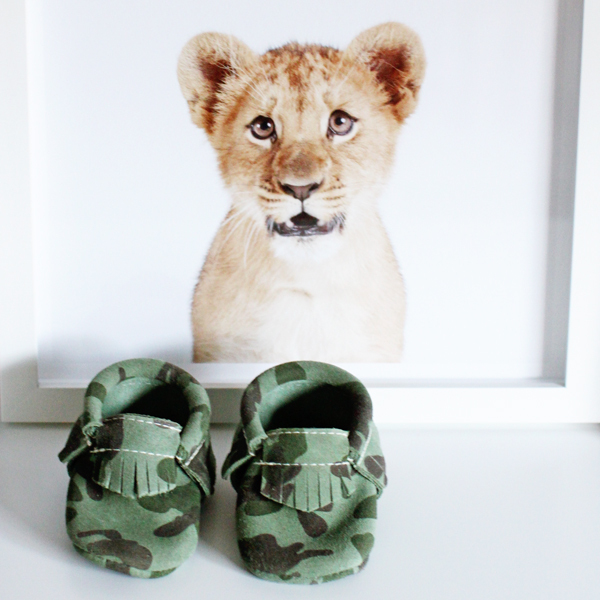 Lion cubs and camo in the nursery. 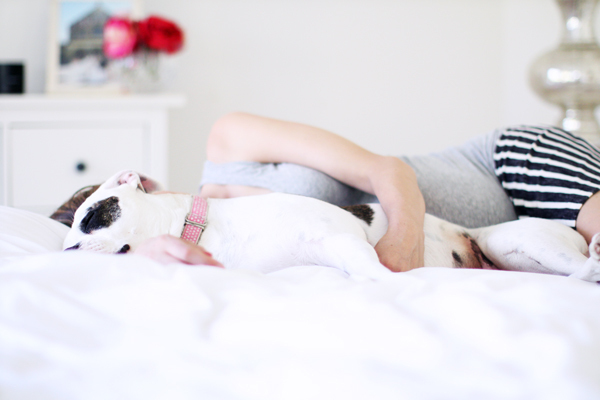 Soaking up lots of cuddle time with this girl before baby boy arrives. My 39-week baby bump. The countdown is on! Other favorite moments from the third trimester include our babymoon in Palm Springs, having the perfect excuse to drink date shakes, and hanging out with this beautiful pregnant woman—we have the same due date! P.S. More unexpected things from my first trimester and my second trimester.